White, who is 70 and worked at Sears for 38 and a half of those years, said it pained him to admit that. Yet, it’s why the fact that Sears is now facing insolvency did not come as a surprise to him or any of the dozens of former co-workers he remains in touch with as president of the Atlanta chapter of the National Association of Retired Sears Employees, which is the association’s largest group in the country. “Many are surprised the company was able to stay afloat for as long as it did,” he said. Sears failed to recognize the threats posed by competitors like Walmart and Amazon, he said. 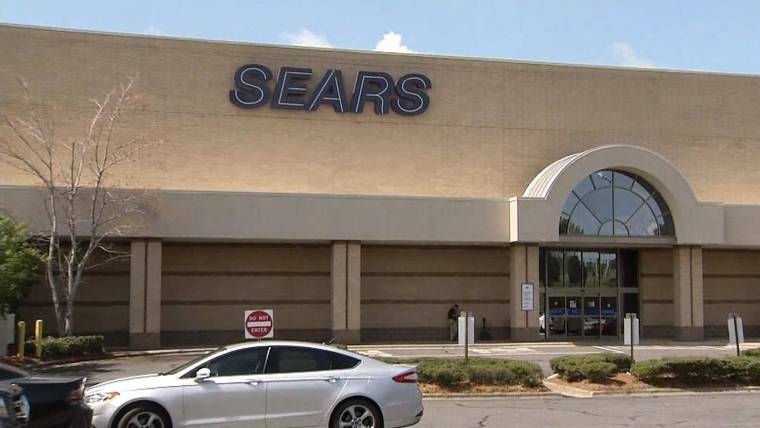 White, who retired a decade ago, said for him the writing was on the wall when Sears, then known as Sears, Roebuck & Company, sold its credit card business, which provided more than half of the company’s profits, to Citigroup in 2003 for $3 billion cash. “That was a big moneymaker for us,” he said. But Baliles tied the company’s downfall to what he and some other workers saw as a big boondoggle: the Sears Tower, the 110-story tower in Chicago that opened in 1973 and was, for 25 years, the tallest building in the world. It’s now called the Willis Tower. Sears had 350,000 employees when it moved into the sky-high flagship headquarters — the most in the world for a retail company. By 1994, however, when the company sold the building and moved its headquarters to a new facility in suburban Hoffman Estates, Illinois, it had been eclipsed by Walmart, according to news reports. Sears now employs about 90,000 people, according to published reports. 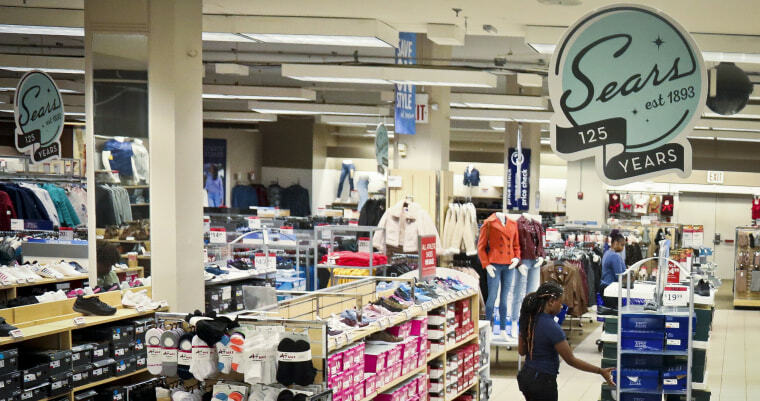 Baliles said he hopes going into bankruptcy will give Sears some breathing room so it can stage a comeback — although he thinks that’s unlikely. The company is more than $5 billion in debt. “I believe that if they’d taken this step five years ago they would have had a better chance of surviving,” he said. That was not music to the ears of Ron Olbrysh, 77, who is chairman of the Chicago-based National Association of Retired Sears Employees. That said, Sears’ decision to declare bankruptcy means the company’s long-term pension obligations for some 90,000 retirees should be covered by the federal Pension Benefit Guaranty Corp., said Olbrysh. What’s in jeopardy are the life insurance plans that Sears had been covering — and which the federal government won’t be funding. “Our retirees could continue paying it themselves, but the average age for most of them is 80, so the cost would be prohibitive,” he said. Olbrysh, who started at Sears in 1972 as a trademark attorney, said the company’s downfall was long in the making. But Olbrysh still gets some satisfaction when he looks out at the Chicago skyline and sees his old office building in the distance. “Many people still refer to it as the Sears Tower,” he said.